This year’s International Day of the Girl is all about creating a skilled Girl Force, drawing attention and investment for girls to gain skills, experience and employment. Consistently underrepresented fields for women are the science and technology fields. Women in STEM fields only make up 15 per cent of the workforce with research showing that factors such as implicit and explicit biases, lack of role models and quality mentoring all have an impact on the number of women applying for roles in STEM. The problem goes right back to schooling and the exposure girls are given to STEM subjects, resulting in fewer pursuing the careers. The growth in the number of female graduates was just 3.1 per cent between 2015/2016 and 2016/2017, whereas the growth in male graduates was 9 per cent. Unfortunately, there is a self-perpetuating cycle whereby women are put off by a career in technology that is seen to be too male dominated an industry. The resulting impact is a lack of women applying and forging a career in a sector that has so much to offer. Just a staggeringly low 3 per cent of females say a career in technology is their first choice. Growing up in Dundee, Scotland, I was always aware of the impact and draw of working for technology companies – but just hadn’t considered it could be an option for someone who studied law. Our university is one of the best in the country for studying technology and Dundee is home to big named companies like Rockstar Games. A huge number of my male friends went into IT jobs after studying computing, but not one of my female friends took the same path. It wasn’t until a family member discussed their experience as a woman working within the technology industry that I started to consider the number of different roles open to me. It is vital that the technology industry address the gender imbalance and put practices in place to encourage women to develop their careers in technology. Equally important though is that encouragement is made throughout their career – regardless of the position they hold. During my time working at Dell in its legal department, I have had the opportunity to meet and talk to some of the great women that work for the company. One such person had been at the company for 24 years and was two weeks away from retirement when I joined. They had been instrumental in developing Dell’s Good Governance Policy, and helped me understand the various ways that organisations encourage women to stay in the business, through programs like mentorship schemes, dedicated STEM events, as well as the importance of these initiatives being driven from the very top of the organisation. Business leaders taking a role in the promotion of women in tech is incredibly important to understanding how a company treats its female employees. Michael Dell for instance is part of the Catalyst CEO Champions for Change, striving for gender equality and inclusion in the workplace. The company helps to support women outside the business in the field of technology with its DWEN (Dell Women’s Entrepreneur Network) scheme, supporting and nurturing a community of female entrepreneurs by providing access to technology, networks and capital. 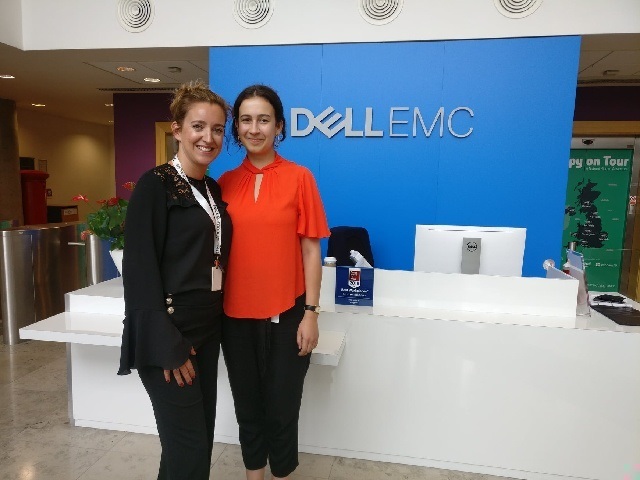 Dell works with several Universities and Colleges across Glasgow to recruit female undergrads to support them in their transition from academia to the world of work within the tech sector. Working for a business like this that truly values its female staff is helping to slowly change the perception of women working in tech. The “returner” market of women coming back to work after having a baby is worth billions if companies can deliver on proper working practices for women. Businesses need to understand this and be able to assure women that their working practices won’t change if they take time out to have a family. It is estimated that three in five women return to work in lower-skilled or lower-paid roles than when they left and yet if businesses address the career break penalty, there is the possibility of making £4,000 in additional earnings. I got to experience this for myself when I saw a close family member coming back from maternity leave and she was afforded all the opportunities for career progression and training that she would have had if she hadn’t taken time out to start a family. For this year’s International Day of the Girl, I hope that women around the world will begin to look at STEM careers as an area where their skills and personalities are as appreciated and valued as men’s. I think anybody looking to get into a STEM field should look at how the company treats its employees, what the make-up of the board is like and the number of women in senior leadership positions. Getting the opportunity to speak with women at the company is invaluable to understanding the real culture to the business and deciding whether it’s a place you can work and thrive. 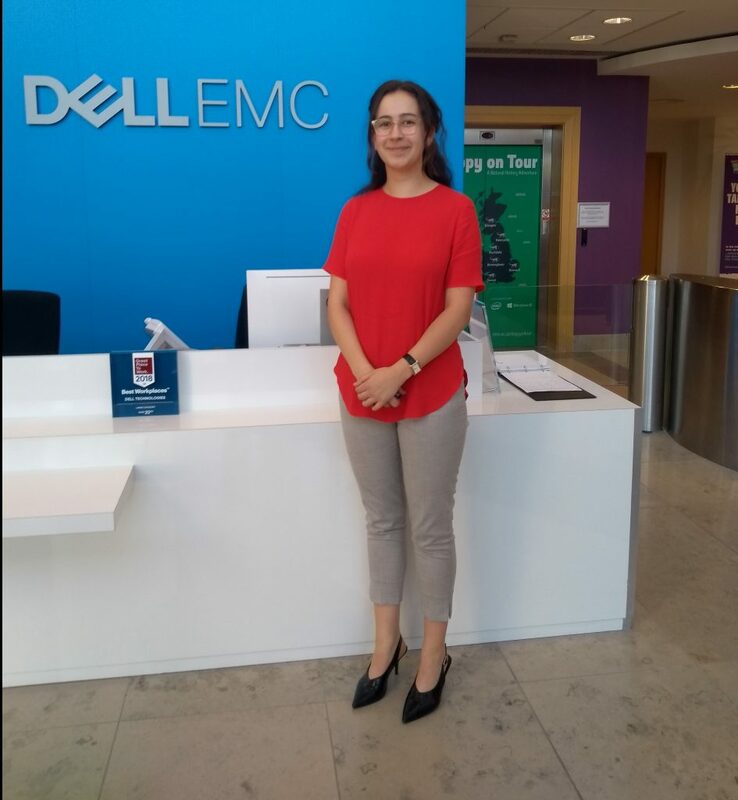 Laurie Presswood is an intern at Dell Technologies, working in the corporate legal team.